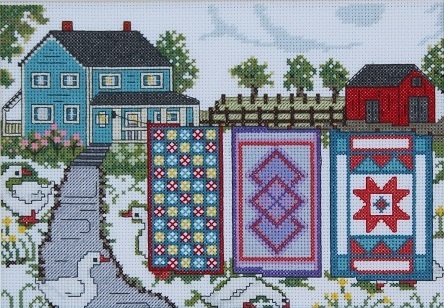 Travel any road through rural Atlantic Canada and you will see an array of brightly painted houses; many with handmade quilts "airing-out" on the clothesline. Finished size is approximate measurement of cross-stitch area. Fabric supplied with kit is sized to give a suitable allowance for working and for framing if applicable.